Refunds: RRP or sale price? Each month, our experts answer members' questions. If you're a paying Consumer member and have an issue, you can contact our Consumer Advice Line for help. WE SAY: All traders, including daily deal sites, have to comply with the Fair Trading Act (FTA) and the Consumer Guarantees Act. 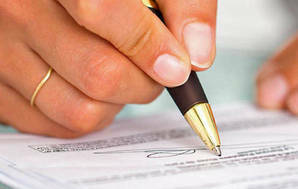 In this case, the FTA is likely to apply because important conditions weren’t disclosed before you purchased the voucher. If these conditions had been clear, you may have chosen not to make the purchase. The FTA says any representations traders make must be accurate and not mislead or deceive consumers. We suggest you ask for your money back and also file a complaint against the trader with the Commerce Commission. Update: Ying has received a refund. WE SAY: The Consumer Guarantees Act says that if a problem is substantial, you are entitled to reject the product and choose a replacement of the same type and similar value or a full refund of your purchase price. If your parents opt for a refund, they will be entitled to a refund of the sale price, plus the cost of the electrician’s visit, if they paid for this. WE SAY: The first thing you should do is go back to the shop that sold you the bed and discuss the matter. 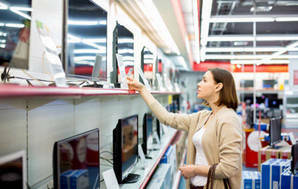 Under the Consumer Guarantees Act, the retailer is responsible for ensuring goods it sells are, among other things, fit for any particular purpose made known by the customer and that products meet the description given at the time of sale. On the face of it, these requirements have not been met. The retailer may want to have the bed looked at by the manufacturer. But the retailer is responsible for sorting out the problem. If the bed isn’t fit for purpose, and can’t be fixed, you have the right to ask for a refund of your purchase price. WE SAY: Unfortunately for your son’s friends, the establishment had the right to ask them to leave once they found out their ages, as the premises is a designated area for alcohol. Not only were the 17-year-olds at risk of being fined for being on the premises without a legal guardian, it may have affected the establishment’s licence issued under the Sale and Supply of Alcohol Act 2012. WE SAY: Provided this is a private vehicle, the Consumer Guarantees Act (CGA) will apply regardless of the warranty’s expiry. If you had known the car would have this recurring fault, you would probably not have bought it. Where a product isn’t of acceptable quality and the failure is substantial, the CGA gives you the right to reject the car and choose a replacement or a refund from the dealer. George Block, Consumer technical writer, says: A heat pump water heater (HPWH) is considerably more efficient in pure energy terms – it converts every kilowatt of electricity into 2 to 3 kilowatts of water heating power, compared with a gas water heater only returning about 80% efficiency. However, natural gas is much cheaper than electricity. The result? Gas water heaters (both instant and storage) generally cost the same or less to run than HPWHs. This only applies to gas water heaters that use piped natural gas. Those on LPG are more expensive on average than HPWHs to run. 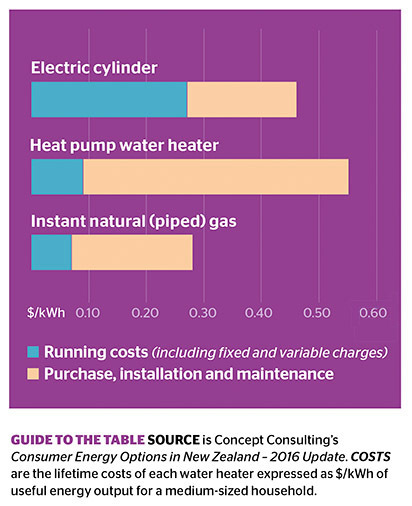 HPWHs also cost more to purchase and install, which results in their overall lifetime cost (including upfront capital and running costs) usually being significantly higher than water heaters powered by natural gas. This assumes you have an existing piped gas connection – getting hooked up to mains gas can cost $1500, about as much as the gas heater unit! Belinda Castles, Consumer senior writer, says: The machine you’ve seen injects brine and flavours into chicken. This practice does occur in New Zealand, but the ingredients list must state the addition of the brine or flavours. Plain whole chickens don’t undergo this process. However, processing fresh poultry does involve water for chilling the carcass and also to reduce campylobacter contamination. Campylobacter are found in the gut of chickens. Campylobacteriosis, the infection caused by the campylobacter bug, remains the most commonly notified disease in New Zealand. In 2015, 6218 cases were reported. Contaminated raw chicken products are one of the main ways the bacteria get transferred to humans. Poultry processors add chlorine to the water used to wash and chill the birds to try to reduce bacteria levels before chickens arrive on shop shelves. Some water used in processing the chickens may also be taken up by the meat. Under the Food Standards Code, water is permitted as a processing aid as long as it’s used at the lowest amount to perform the function. If water is used in excess of this (or as an ingredient) and makes up more than 5% of the final weight, it must be declared. Do you need to put a complaint in writing? Use these draft letters as a guide.